Iran is planning an offensive against Egypt from the west and from the south. The Iranian government has long-term plans. The Iranian regime's new enemy, it seems, is Egypt's President Abdel Fattah Al-Sisi. Iran's mullahs apparently fear Sisi's secular stance against Islamist movements, and see him as an obstacle to Iran's future influence in the Middle East. According to the Jordan-based media outlet Al-Bawaba, Iran is determined to put an end to Al-Sisi's rule by training the Libya-based Islamist group known as the Free Egyptian Army [FEA]. The FEA is composed of both Egyptian jihadists who went to fight in Syria during the rule of Egypt's former President, the Islamist Mohamed Morsi, as well as other Egyptian Muslim Brotherhood militants who fled from Egypt to Libya after Morsi was removed from power. According to Al Bawaba, personnel of the Quds Force -- the special-forces arm of Iran's Islamic Revolutionary Guard Corps [IRGC] -- arrived in Libya to train the FEA in Misrata, northwestern Libya. Quds Force officers met with FEA leaders -- reportedly Abu Dawud Zouhairi and Karam Amrani. There, Lebanese jihadists coming from Syria and led by Abu Fahed Al-Islam also joined the FEA. The Jewish world has reacted with horror to the results of the European elections as displaying an upsurge of parties promoting Jew-hatred. Certainly, the results give plenty of cause for such concern. But in significant respects, such a response is wildly off-beam. Some parties which surged, such as Greece’s Golden Dawn, Hungary’s Jobbik and Germany’s National Democratic Party (NPD), are undoubtedly fascist or bigoted. And France’s National Front, which avoids the open Jew-hatred of its founder, Jean-Marie Le Pen, nevertheless retains troubling undertones. But others lumped in with these truly noxious parties by anti-Semitism-watchers are not racist or fascist at all. Britain’s UKIP wants Britain to leave the EU, restore its democratic self-government and preserve its national identity. In Italy, the former comedian Beppe Grillo’s Five Stars movement campaigns against political corruption. Whenever Jews remembered Jerusalem something good came of it. Whenever they forgot Jerusalem, bad things happen. 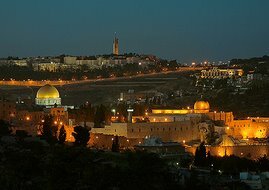 There are moments that make Jerusalem feel like no other place on earth; when you feel yourself lifted beyond time and space and embraced, as it were, by zreut olam, the arms of eternity. There is no other place in the world where this happens. I want to share with you three epiphanies that changed my life. The first took place in 1969. I had come to study in Israel following the completion of my first degree, and was standing on the newly rebuilt Hebrew University campus on Mount Scopus as the sun began to set, bathing the whole landscape in a divine radiance. As I found myself looking down on the Temple Mount, I recalled the famous story at the end of Masechet Makot, where Rabbi Akiva and his colleagues are looking down at the ruins of the Temple and see a fox walking through the place that was once the Holy of Holies. As the rabbis wept, Rabbi Akiva smiled and laughed, and when asked how he could, Rabbi Akiva retold the two interlinked prophecies of Uriah – who foresaw the day when Jerusalem would be ruined – and Zachariah – who saw the day it would be rebuilt. Traitor Bowe Bergdahl converted to Islam during his captivity, declaring himself a ‘mujahid’, or warrior for Islam according to secret new documents. Bergdahl, who was taken prisoner by the Taliban in 2009 after being found wandering a road alone and cursing America, became accepted by his captors to the point where he was allowed to fire an AK-47 during target practice, played soccer with them and was permitted to carry his own firearm. 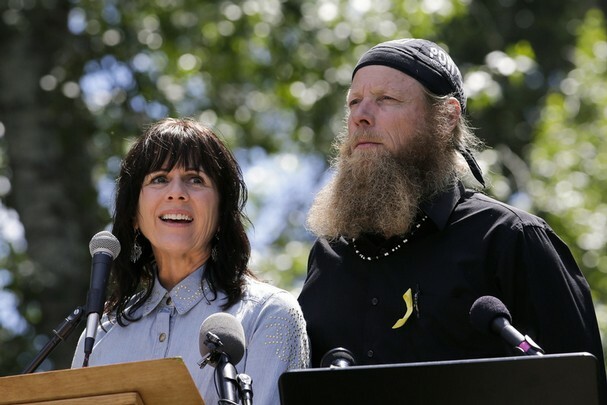 However, the documents reveal that Bergdahl, who was returned to American custody during a POW exchange over the weekend, endured a checkered relationship with his Taliban captors. In late June 2010, he is said to have escaped for five days and on his recapture was confined to a specially designed metal cage, where he was kept ‘like a caged animal’. At other times during his five-years of internment with his Haqqani captors, Bergdahl conversed in friendly terms with them and would frequently use the word ‘Salaam’, which is the Arabic word for peace. 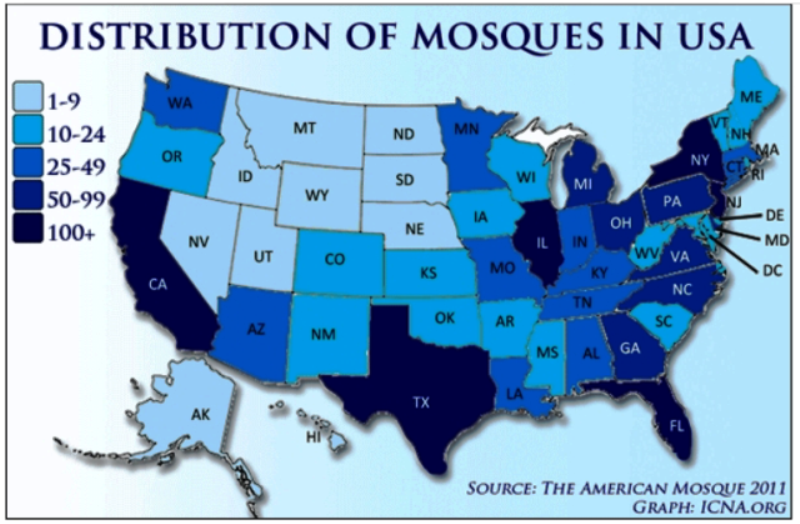 This information was obtained by and seen by Fox News provided by the secretive Eclipse Group. It is a top-secret private firm of former intelligence operatives subcontracted by the Defense Department to obtain ground reports from every corner of the globe. 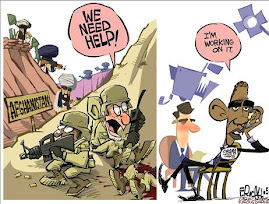 Using a source within the 200 or so Taliban captors who kept Bergdahl, the former spies compiled reports for the US Central Command, or CENTCOM, which is headquartered at MacDill Air Force Base in Florida, from November 2009, to May 31, 2010. Eclipse is operated by Duance R. Clarridge, who used to be a senior operations officer for the CIA in the 1980s. Using his groups assets, Clarridge compiled 13 situation reports or SITREPs, which were sent to Brig. Gen. Robert P. Ashley Jr. – who in April 2010 was named the director of intelligence at the J-2 level at CENTCOM. It was SITREP # 3023, dated August 23, 2012, that provided information from Clarridge’s Haqqani sources, which makes the claim that that Bergdahl had declared himself a ‘mujahid’. This was allegedly provided to Brig. Gen. Robert P Ashley, who is now commanding general at the U.S. Army Intelligence Center of Excellence and Fort Huachuca. The documents seen by Fox News date from October 2009, which is around three-months after Bergdahl walked away from his base in Afghanistan to August 2012. They paint a picture of a turbulent period in captivity – which included bouts inside a metal cage after his failed June 2010 escape. Other reports reveal that Bergdahl would play soccer with his Taliban captors and was granted the use of an AK-47 for target practice. Bergdahl was also allowed to carry his own firearm during certain times of his imprisonment. SITREP #3023 was compiled using a source close to Mullah Sangeen, the Haqqani commander charged over the past five years with the care of Bergdahl. Eclipse admit in the report that he was not 100 percent trusted by the group but ‘does have plausible access to the information reported and claims to have seen Bergdahl personally in Shawal’ – which is in North Waziristan. In a prior report, seen by Fox News, it outlines how Bergdahl and his captors changed their behavior after his June 2010 escape attempt. ‘Conditions for Bergdahl have greatly relaxed since the time of the escape. 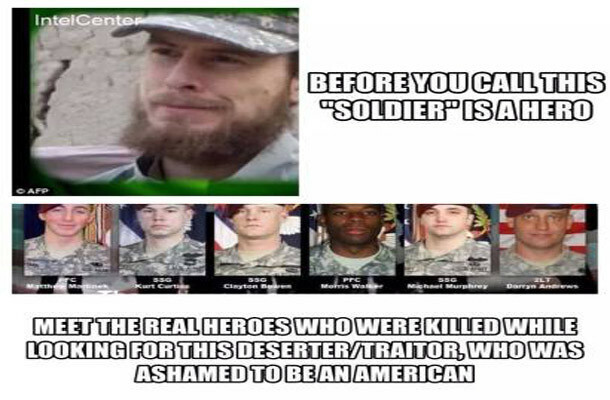 Bergdahl has converted to Islam and now describes himself as a mujahid,’ cites the report. 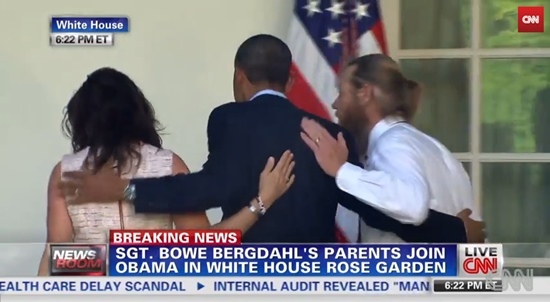 Traitor Bergdahl during Taliban exchange. Not looking too malnourished to me. ‘He is conversing with medical staff and becoming more engaged in his treatment plan. He is resting better,’ Pentagon spokesman Colonel Steve Warren said Thursday. 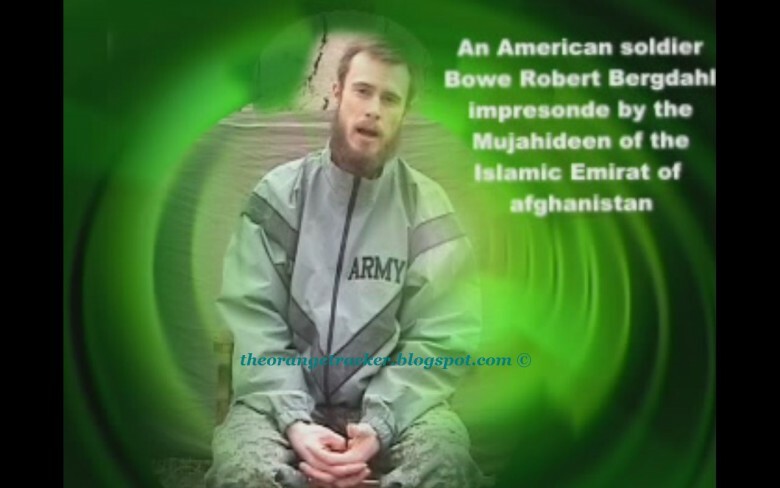 USA Today reports that Bowe’s father Robert Bergdahl sent a video message to his son earlier this week and recorded a portion of the tape in Pashto, the language of his son’s captors. That would have been Mr Bergdahl’s first communication with his son in five years and there is no way he would have known anything about his son’s linguistic abilities. American and European officials on Wednesday deepened their criticism of what is increasingly being seen as deliberate Iranian foot-dragging on Tehran's obligations to come clean regarding the so-called possible military dimensions (PMDs) of Iran's atomic program, a reference to a range of activities from the military's involvement in producing nuclear material to outright work on potential nuclear munitions. The UN's nuclear watchdog (IAEA) has for years been striving to increase transparency around those activities, and has more recently conducted negotiations with Iran in parallel to talks between the Islamic republic and the P5+1 global powers aimed at putting Iran's nuclear program beyond use for weaponization. PMD issues are nonetheless considered a core component of the P5+1's overall efforts, and a Wednesday Reuters article on the issue noted that "U.S. officials say it is vital for Iran to resolve the IAEA's questions if parallel negotiations" are to continue. A Thursday Reuters article conveyed statements from Israeli officials echoing the sentiments, condemning what they described as "false" accounts by Iranian officials regarding PMD-related issues. 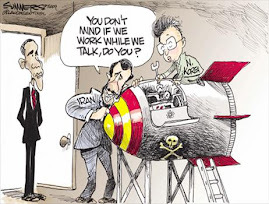 Long-standing Western demands that Tehran fully account for PMD-related work - codified among other places in United Nations Security Council (UNSC) resolution 1929 - have emerged as a central component of ongoing talks between the P5+1 global powers and Iran. The PMD issue has also become tangled in broader controversies regarding Washington's role in the region and the world. Analysts - to say nothing of the U.S.'s traditional Middle Eastern allies - have in recent weeks become increasing clear in insisting that Iran's willingness to disclose its past activities is now functionally a test of whether Washington is willing or able to extract genuine concessions from the Islamic republic. Rep. Nita Lowey vows to put the brakes on Obama admin's 'unrestricted funding' of Hamas-aligned PA government. 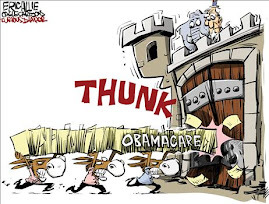 Will Nita Lowey spoil the party? America grants the Palestinian Authority about $500 million annually; the fast-spinning money meter has already broken the $5 billion mark over the years. The annual financial infusion has been on autopilot as Israelis and Palestinians negotiated over the meters and metrics of a two-state solution. American money has been lavishly spent on the Palestinian Authority for one purpose: to encourage the peace process. Recently something changed. 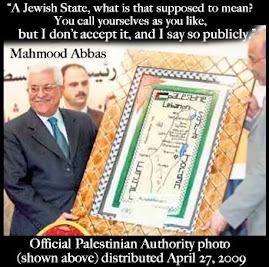 The Palestinian Authority unified with Hamas, making it the largest, best organized, and best armed terrorist entity in the world. 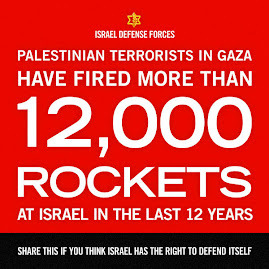 Hamas, long designated a Foreign Terrorist Organization, is well-known for showering Israeli civilians with rockets and for leading the deadly suicide bombing campaign against Israeli civilians during the Second Intifada. Quickly dashing any hopes of change, Hamas did not disband its highly-armed and trained militias, vowed to never recognize Israel, and barred pursuing joint peace. Dangerous and False Palestinian "Unity"
As long as the military branch of Hamas remains independent, there is no Palestinian unity. Under the current accord, instead of the PA regaining lost Gaza, Hamas is gaining better access to the West Bank. The current Western stance, which supports the continuation of a fragmented Palestinian polity, makes the establishment of a stable Palestinian state more unlikely than ever. Moreover, acceptance of a growing role for Hamas is inimical to Israeli-Palestinian peaceful co-existence. The new Palestinian "unity" government is not about the reestablishment of one Palestinian political entity that could develop into a functioning Palestinian state. 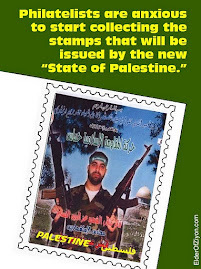 Already in the early 2000s, the Palestinian Authority (PA) degenerated into a failed state as it lost monopoly over the use of power in the territory under its jurisdiction with the advent of several competing militias. Indeed, in June 2007 Hamas orchestrated a military coup that put the Gaza Strip under the control of this terrorist organization. 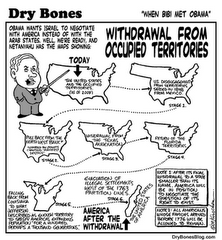 Originally published by the Middle East Quarterly. It is commonplace to attribute much of Israel’s domestic tensions to supposed Jewish discrimination against the country’s Arab citizens. 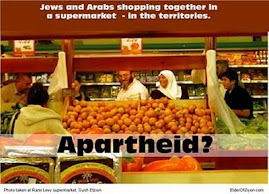 Nearly every Israeli Arab nongovernmental organization insists that such discrimination characterizes the Jewish state in general and its labor markets in particular. The Israeli media routinely interview Israeli Arabs (and non-Ashkenazi Jews) who claim to have been victims of discrimination. These allegations are echoed by Jewish Israeli academics, think tanks, and journalists, especially on the political Left, not to mention the international anti-Israel movement and the boycott, divestment, and sanctions campaign. 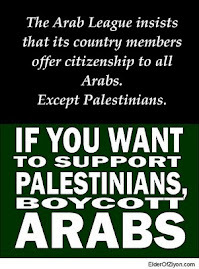 Indeed, the U.S. Department of State has even joined the growing outcry concerning Israel’s alleged racist discrimination against its Arab citizens. 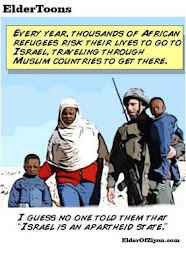 Of course, in reality, Israel is the only Middle Eastern entity that is not an apartheid regime, and the apartheid slander holds no water whatsoever save in the minds of the Jewish state’s enemies and defamers. Yet discrimination is a scientifically empirical question subject to testing and not a matter of subjective personal opinion. Stripping away the venomous anti-Israel rhetoric, the legitimate question remains whether and how much discrimination really exists in Israel. Ethnicity in Israel is a complex and multifaceted phenomenon. Both Jews and Arabs are subdivided into ethnic sub-groups, making exploration and analysis of ethnic disparities a complex challenge. In official statistical data on income, Israeli Arabs are treated as a single population group, but this is somewhat misleading. There are important differences in socio-economic status and performance among Arab Christians, Arab Muslims, and Druse. Those sub-categories are in fact amalgams of even smaller divisions. 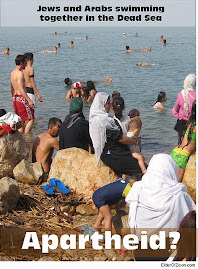 For example, there are interesting differences between “ordinary” Arab Muslims and Bedouins. The Israeli Income Survey sample does not include the Arab population of the “occupied territories,” except for East Jerusalem and the small population of the Golan Heights, both of which are formally annexed to Israel. The Abbott government has ruled out using the term "occupied" when describing Israeli settlements in East Jerusalem, prompting suggestions about a shift in Australia's foreign policy. The government on Thursday delivered a statement to clarify its stand on the controversial question of the legality of settlements after the issued flared up at a Senate hearing the night before. The attorney general, George Brandis, on behalf of the minister for foreign affairs, Julie Bishop, said it was "unhelpful" to refer to historic events when describing these areas, given the ongoing Middle East peace process. "The description of East Jerusalem as 'occupied' East Jerusalem is a term freighted with pejorative implications which is neither appropriate nor useful," Brandis told a Senate estimates hearing. "It should not and will not be the practice of the Australian government to describe areas of negotiation in such judgmental language." 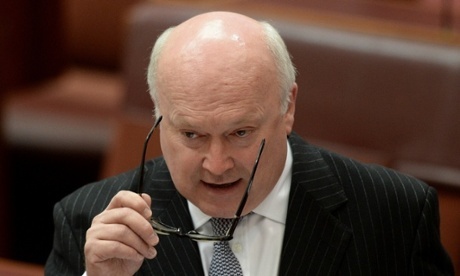 Brandis sparked a heated debate the previous evening when he stated that no Australian government of either political persuasion "acknowledges or accepts" the use of the word occupied. Yesterday’s decision by the Obama administration to continue funding for the Palestinian Authority despite its alliance with Hamas terrorists was a blow to the cause of peace as well as a slap in the face to the state of Israel. The administration thinks it can hide behind the pretense that such aid isn’t going to Hamas because it is shielded by a Cabinet of technocrats that have been appointed by PA leader Mahmoud Abbas won’t include a member of the terror group. But no one is fooled by this scam. 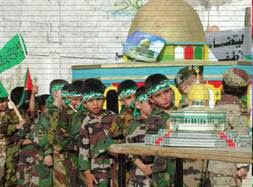 Hamas is now an integral part of the PA apparatus. Since Hamas has not dropped its call for Israel’s destruction and the slaughter of its population, arguments that it has been co-opted by the supposedly more moderate Fatah can’t be taken seriously. 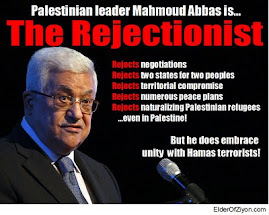 The unity agreement is based on a common abhorrence for peace that is shared by the rank and file of both major Palestinian movements, a point that is proved by Fatah’s repeated rejection of Israeli peace offers and decision to strike a deal with Hamas rather than Israel. This is a body blow to the cause of peace since without U.S. pressure or even a gesture in the direction of accountability, it’s clear the Palestinian leadership will never recognize the legitimacy of a Jewish state no matter where its borders are drawn. But as frustrating as this betrayal may be for the broad bipartisan pro-Israel coalition in Washington, this is not just a matter of bad policy. By keeping U.S. taxpayer dollars flowing to the PA, the administration is breaking the law. As Senators Mark Kirk and Marco Rubio pointed out in a letter to Secretary of State Kerry yesterday, U.S. law clearly states that continuing aid to the PA if it has entered into a pact with Hamas is illegal under the Palestinian Anti-Terrorism Act of 2006. The subterfuges that the PA is using to avoid losing the U.S. and European funds that keep its kleptocracy operating are so obvious that surely even the Obama administration isn’t falling for them. As the Palestine Media Watch site pointed out, the PA’s practice of paying salaries to imprisoned terrorists is being discontinued. 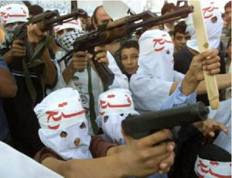 Instead of direct payments from the PA, the murderers will get their checks from the Palestine Liberation Organization. Where will the PLO get its money? From the PA out of the funds donated by the EU and the U.S, that’s where. This cannot be allowed to stand. Though the president will be able to use the waivers included in the legislation to violate the clear intent of the legislation, Congress must exact a price for this underhanded subterfuge. Though the president can’t be directly stopped from giving the aid, this extralegal maneuver must be countered by either new legislation that prevents him from funding terrorists or by cuts in allocations to the State Department and future foreign aid bills. As he has repeatedly shown in the past, President Obama views the rule of law as a flexible concept rather than one that obligates him to respect the will of Congress. But having flouted the law in this case, Congress must restrict his ability to funnel money to Palestinian terrorists in the future. Although the Fatah-Hamas unity government was sworn in earlier this week, a Hamas official says still major rift between two groups. 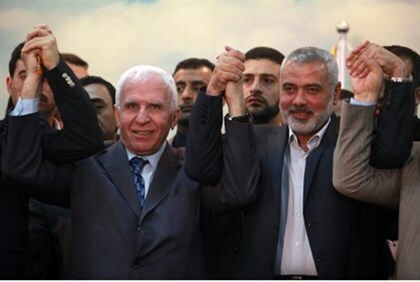 Deep differences have erupted among the Hamas leadership over the reconciliation agreement with Fatah, which resulted in the formation of a Palestinian unity government, the London-based Al-Quds Al-Arabi newspaper revealed on Wednesday. A source close to Hamas quoted a senior official of the Islamist movement as denouncing the deal with Fatah as "surrender on the part of Hamas," the paper said. 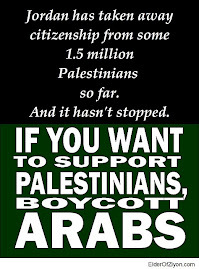 The Wall Street Journal late Wednesday criticized the Obama administration for agreeing to fund the recently announced Palestinian unity government - agreed to by the rival Fatah and Hamas factions, and unveiled earlier this week - with the outlet pointing out that the new cabinet's refusal to dismantle Hamas's military infrastructure was difficult to square with White House assurances that Palestinian Authority (PA) President Mahmoud Abbas is living up to past treaties signed with Israel. What is clear is that Austria's "Law of Islam" of 1812 represents protection for Islamic organizations that no other European country has to offer. 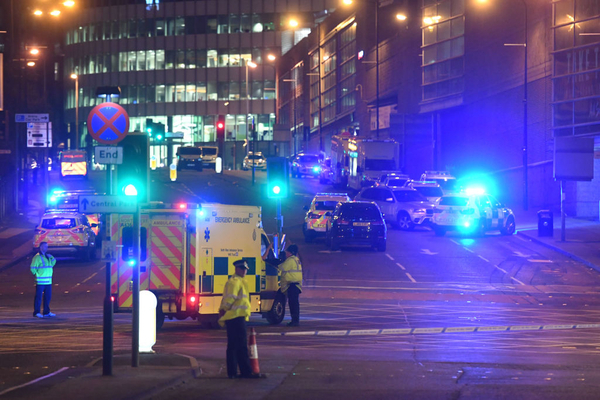 As bloody bodies and smoke rise into the air after a cry of Allahu Akbar and a bomb detonation, each Muslim terrorist attack is followed by "Muslimsplaining" why the latest act of Islamic violence had nothing to do with Islam. 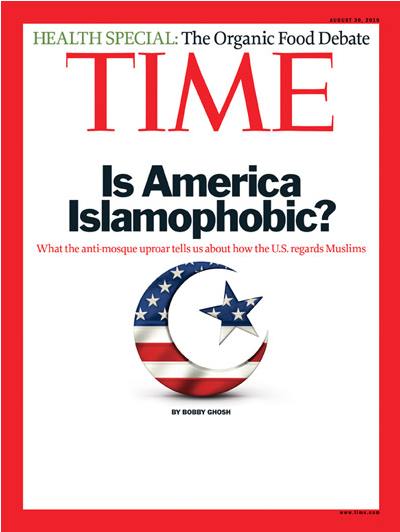 Sometimes the Muslimsplainers are Muslims. Often they aren't even Muslims. 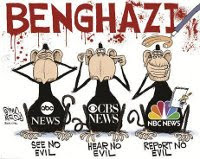 When Boko Haram, an Islamic terrorist group aligned with Al Qaeda, kidnapped Nigerian girls, the media's Muslimsplainers sprang into action to explain why it had nothing to do with Islam. Time featured "5 Reasons Boko Haram is Un-Islamic"; a listicle friendly article from one of those non-Muslim experts on why Islam is feminist . "With their sustained campaign of murders and kidnappings, the members of Boko Haram conduct themselves in a manner that could barely be more alien to the Prophet Muhammad teachings," the article claimed. Mohammed spread Islam through a sustained campaign of murders and kidnappings. Claiming that murder was alien to Mohammed is like claiming that pledge drives are alien to PBS. 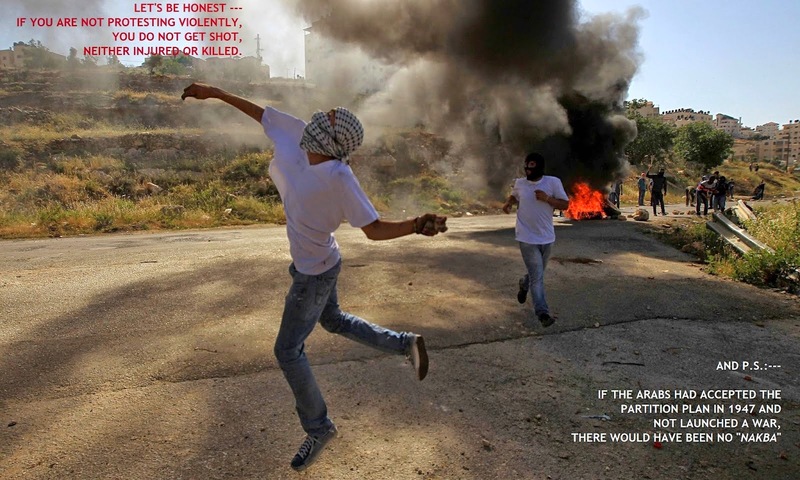 Hamas's chances of winning elections do not seem to be bad at all. Eight years after the last parliamentary election, Fatah is likely to be defeated at the ballot box once again. Earlier this week, Abbas decided to expel five "unruly" officials from Fatah, plunging the faction into turmoil and triggering calls for a revolt against the Palestinian Authority [PA] president. The five men - Majed Abu Shamala, Sufyan Abu Zaida, Rashid Abu Shbak, Nasser Juma'a and Abdel Hamid Masri - were expelled because of their close links to ousted Fatah strongman Mohammed Dahlan. 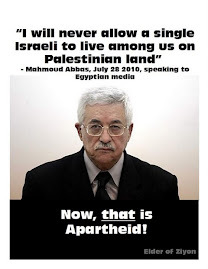 In the context of the ugly dispute between the two, Abbas has accused Dahlan of being responsible for the murder of six Palestinians and involvement in the "poisoning" of former PLO leader Yasser Arafat. The outrageous, blatant lie that Jesus was a Palestinian Arab! 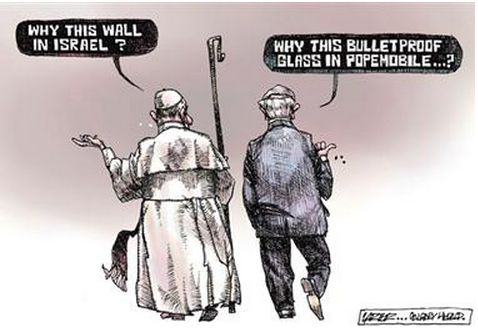 Within the Protestant world, many churches are deeply hostile to the State of Israel. They present the Palestinians as victims of Israeli oppression while ignoring the murderous victimization of Israeli citizens at their hands. This much is generally known. What is less known is the even more disturbing fact that this perverse animus is increasingly fed not by the politics of the present moment but by theology. 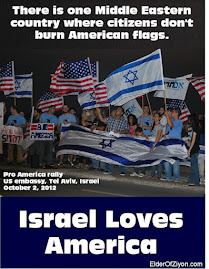 The Christian world likes to forget it, but the history of its relationship with the Jews is terrible. In medieval Europe, the Catholic Church used blood libels to incite the population against the Jews, converted them at knifepoint, and murdered them in great number. Milos Zeman, the President of the Czech Republic courageously condemned the culture of Islamic anti-Semitism behind the Brussels attack as well as commenting in an informed fashion on the larger trend of Islamic Supremacist violence. Syrians resident in Jordan were able to vote in Syria’s forthcoming presidential election at the Syrian embassy in Amman on May 28. Voting is set to go ahead within Syria in government-held territory on June 3, though international observers and the Syrian opposition have dismissed it as a sham designed to bolster the legitimacy of Syria’s embattled President Bashar Al-Assad. Being more ”Muslim Arab orientated” according to Tony Campolo, is then more of a benefit to Christianity than maintaining strong ties with the Jewish state (he holds to the view of winning Muslims to Christianity, the Jews are proving to difficult to convert). WASHINGTON (Reuters) - The United States said on Monday it plans to work with and fund the new Palestinian unity government formed after an agreement by the Fatah and Hamas factions, and Israel immediately voiced its disappointment with the U.S. decision. 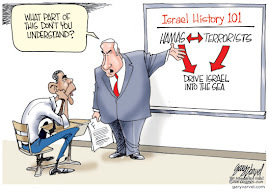 The United States views Hamas as a "terrorist" organization and the U.S. Congress has imposed restrictions on U.S. funding for the Palestinian Authority, which typically runs at $500 million a year, in the event of a unity government. In spite of well-founded predictions that this would never happen, a Fatah-Hamas unity government was sworn in today in Ramallah, to much fanfare. It is to be headed by Prime Minister Rami Hamdallah (pictured below), former president of An-Najah National University in Nablus, who had been appointed by Abbas. Some are new appointments, but eight people retain the positions they previously had. One of the primary goals of this new government is the supervision of elections, which are slated for 2015. Do not expect this to go smoothly. Around the turn of the millennium, I received an email from a party looking to create a film script about a first century Jewish sage teaching in Aramaic. Since my PhD was in Aramaic, and Semitic languages are an area of expertise, would I be interested? It aroused my curiosity, so I wrote back with a question: Since Jewish teachers in the first century tended to use Hebrew, why would the filmmakers want an Aramaic script? I received a short response that this film script was about Jesus, as if that was enough said. I declined their offer. Last week’s news controversy over Jesus’ language, sparked by the exchange between Israel Prime Minister Netanyahu and the pope, brings to light how an Aramaic-only speaking Jesus has been enshrined within the academy and society at large. Elon Gilad’s Haaretz article “What language did Jesus speak?” is a prime example. 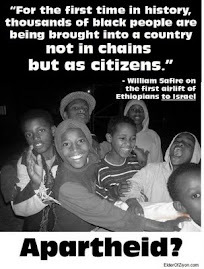 An army of dirt-ignorant terrorists has been running rampant in Africa for the past few years. They call themselves "Boko Haram," which has been liberally translated as "Foreign Education is Sinful." But this is as misleading as when the Taliban first appeared on the scene in Afghanistan. Their name was translated as "students," a strange term for phenomenally ignorant rote memorizers of the Koran in a language few of them understood. Boko Haram is just what its words say: "Books Forbidden." They are the posterboys for illiteracy and mindless evil and their leader speaks directly to Allah, he says. No books needed there; he knows "pure" Islam. In recent months, Syrian liberal and prominent oppositionist Dr. Kamal Al-Labwani has been promoting a public initiative calling on Israel to provide military and diplomatic assistance to the Syrian opposition in its struggle against the Assad regime, as a preparatory move for peace and normalization with the future Syrian regime. According to a report in the London daily Al-Arab, the initiative was prepared together with Arab and regional elements, and in cooperation with elements in the U.S. Congress, and has received the blessing of senior officers and commanders in the Free Syrian Army (FSA). As part of his efforts to promote the initiative, Al-Labwani attended several secret meetings in Germany on the matter, and has even expressed his willingness to visit Israel "if doing so would serve the Syrian people, peace, and the peoples of the region." In response to the initiative, presented over the past few months by Al-Labwani in a series of articles and print and TV interviews with Arab, Israeli, and Western media, the Syrian regime accused him of encouraging "the Israeli enemy" to occupy Syrian lands, and of treason against the homeland. Positive comments about the initiative by Israeli Labor Party leader Isaac Herzog were presented by the official Syrian news agency SANA as proof of Israel's support of the "terrorists" operating in Syria and of the scope of "the cooperation, coordination, conspiracy, and explicit plotting between the so-called 'Syrian opposition' and the Zionist entity, with the hopes of wearing down the Syrian state's forces and bringing about its destruction." Baroness Nicholson's defense of the Iranian regime first became apparent after the Ayatollah Khomeini's fatwa and the Iranian government's offer of a $2 million bounty to anyone who would murder Salman Rushdie for his fourth novel, The Satanic Verses. At the time, Nicholson said Rushdie's "blasphemy" -- not Iran's order to murder him -- was "intolerable." "[Iraq is in] one way or another, subject to the control of the Islamic Republic of Iran and its ideas." — Qassem Soleimani, Commander of the Quds Force, a division of Iran's IRGC that conducts operations outside Iran. Exactly whose interests will Baroness Nicholson be serving? Her pattern of support for the Iranian regime clearly indicates that her appointment should be opposed and that Britain's program of trade envoys must become accountable so that other politicians with connections to extremist groups or despotic regimes will not be appointed to represent Britain's interests. When baseball greats Babe Ruth and Lou Gehrig went on tour in baseball-crazy Japan in 1934, some fans wondered why a third-string catcher named Moe Berg was included. Although he played with 5 major league teams from 1923 to 1939, he was a very mediocre ball player. He was regarded as the brainiest ballplayer of all time. In fact Casey Stengel once said: “That is the strangest man ever to play baseball.” When all the baseball stars went to Japan , Moe Berg went with them and many people wondered why he went with “the team” . . .. The answer was simple: Moe Berg was a United States spy working undercover with the CIA (back then it was the Office of Strategic Services). Moe spoke 15 languages - including Japanese - Moe Berg had two loves: baseball and spying. Globalization, by definition, is a threat to national identity. 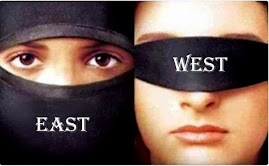 Europe is fighting it. If you aren’t familiar with the overwhelming political victories scored by Nigel Farage’s United Kingdom Independence Party or Marine Le Pen’s Front National Party it would hardly be surprising. These victories, having achieved wins over standing parties such as Tory or Labour, are either being mocked by establishment governments or are putting government officials in lather to do what they were elected to do in the first place. The votes reflect the growing anger of Europeans. They are no longer willing to suffer globalization under the European Union and want their national identities back, thank you very much. As a result, establishment parties, right and left, got a spanking at the polls such as hasn’t been administered for a hundred years. And both ends of the political spectrum are scrambling to downplay it. The media, in Europe and America, are trying to laugh off wins that are, in reality, no joke. People are mad as hell and they aren’t going to take it anymore. 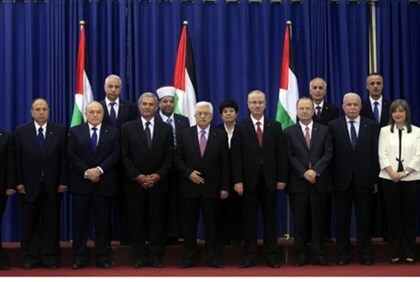 BETHLEHEM (Ma'an) -- Seventeen members of a new Palestinian unity government to be announced Monday have been named by well-informed political sources. 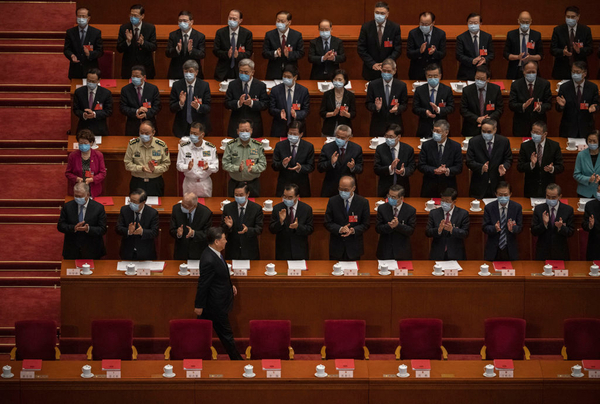 They include at least nine new members, while at least eight will remain at their posts from the prior government. Rami Hamdallah will remain prime minister, according to the sources, and Ziad Abu Amr will be the deputy prime minister and minister of culture. New members include Mamoun Abu Shahla as minister of labor, Mufeed Hasayneh as minister of public works and housing, and Yusef Idees as minister of endowments and religious affairs. Nayef Khalaf will be minister of local governance and Riyad al-Maliki will remain the minister of foreign affairs. Salim al-Saqqa has been named minister of justice, Khawla al-Shakhsheer as minister of education and higher education, and Rula Maaya as minister of tourism. Prime Minister Benjamin Netanyahu reportedly speaks to Rabbi Haim Drukman to advance conversion reform • Sephardi Chief Rabbi Yitzhak Yosef strongly opposes Hatnuah MK Elazar Stern's conversion bill, says, "Stern wants to create a conversion market." Prime Minister Benjamin Netanyahu has approached former head of the Conversion Authority Rabbi Haim Drukman in an effort to advance new conversion legislation, in light of opposition from Sephardi Chief Rabbi Yitzhak Yosef to a bill recently introduced to the Knesset, which is pending further review. 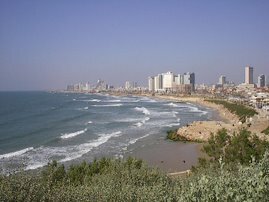 According to information obtained by Israel Hayom, Netanyahu reportedly spoke with Drukman about the conversion reform bill introduced by Hatnuah MK Elazar Stern, which would see the conversion process in Israel carried out in local rabbinical courts, as opposed to the current system in which only four courts across Israel are authorized to perform conversions to Judaism. Mehdi Nemmouche, 29, detained in Marseille on suspicion of murder and attempted murder • He is believed to have ties to Islamic radicals in Syria and had in his possession a Kalashnikov rifle and handgun similar to the ones used in the May 24 attack. A French national with suspected ties to Islamic radicals in Syria was arrested in France on Friday over last Saturday's deadly shooting attack at the Jewish Museum in Brussels, investigation sources told Agence France-Presse. The suspect, 29-year-old Mehdi Nemmouche, was in the southern French city of Marseille in possession of a Kalashnikov rifle and a handgun similar to the ones used in the attack on May 24, the sources said on Sunday. He was arrested during a customs inspection at a train and bus station in the port city. He has been detained on suspicion of murder and attempted murder in connection with a terrorist enterprise, a judicial source told AFP. An official with the Paris prosecutor's office said the suspect has been handed to anti-terrorist investigators and could be held at least through Tuesday under French counterterrorism law.